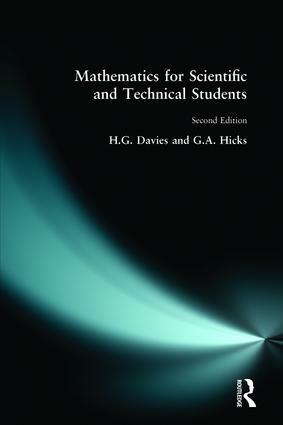 This new edition provides a full introduction to the mathematics required for all technical subjects, particularly engineering. It has been completely updated and is designed to bring the student up to the required mathematical knowledge for their course. Gwyn Davies was formerly Vice Principal, Carmarthenshire College of Technology and Art. Gordon Hicks was formerly Associate Dean of the Faculty of Engineering, Carmarthenshire College of Technology and Art.